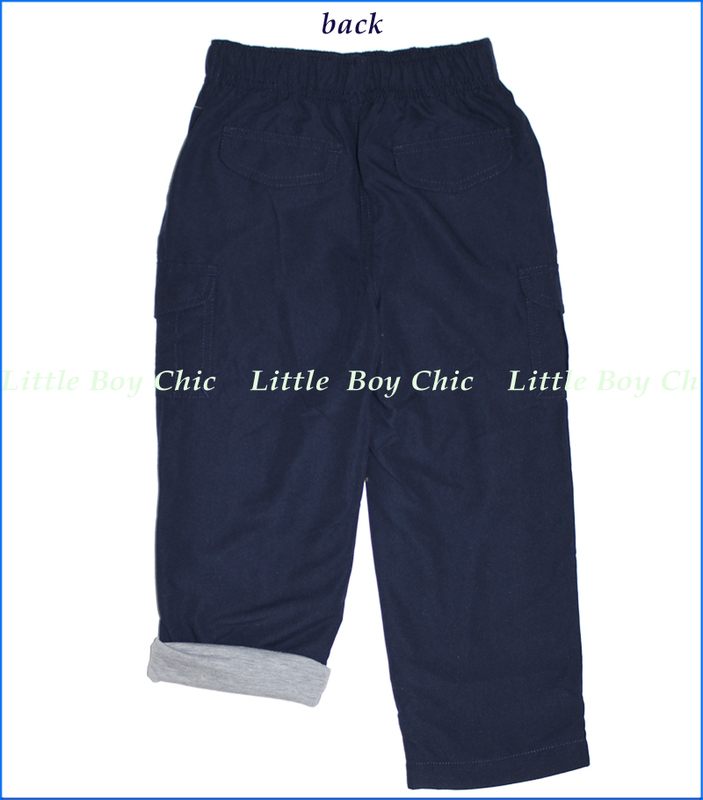 These microfibre pants come in a style and color that is perfect for school wear. Super comfy fabric has a light jersey lining and is perfect for an entire day of wear. 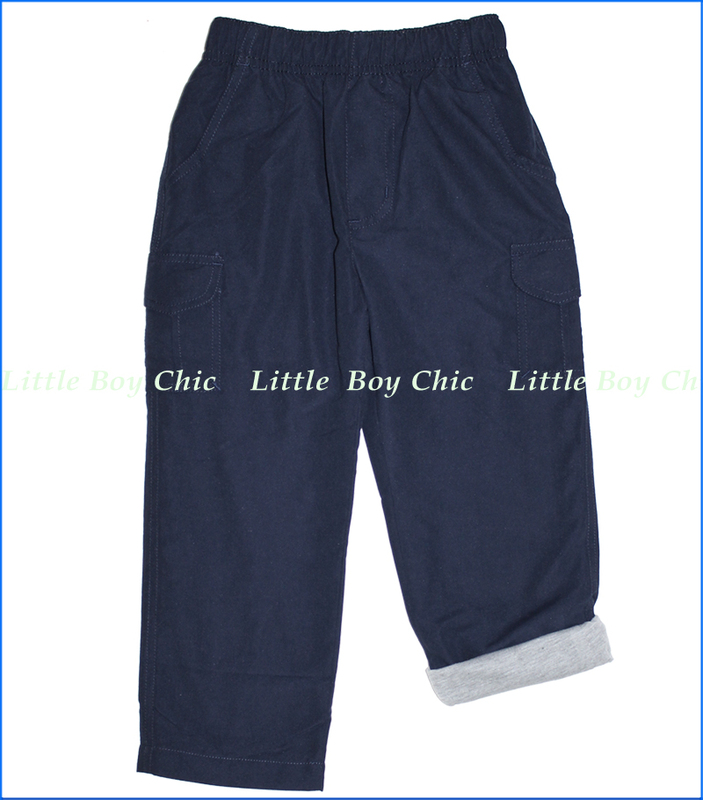 Easy pull up style with wide elastic waistband. Faux fly. Front pockets. Gusseted cargo patch pockets with velcro flaps. Back pockets with velcro flaps. Relax fit. This is a clearance item and cannot be returned or exchanged.